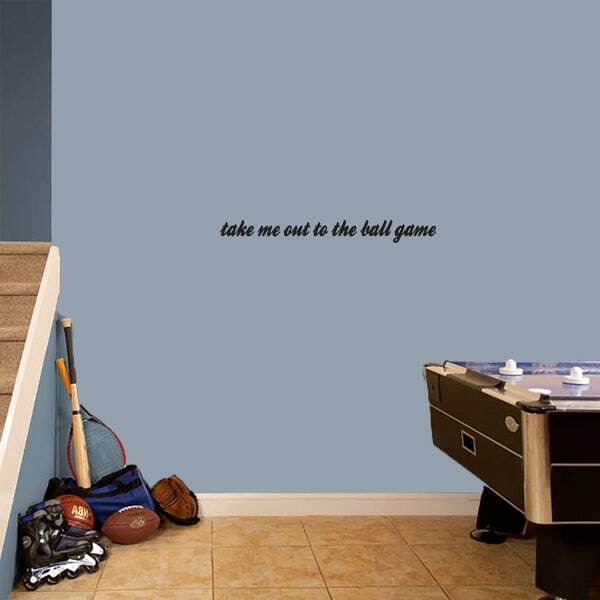 Share your love for baseball with all who enter your home with this wall decal reading, 'Take me out to the ball game.' Perfect for any baseball lover's bedroom or any other room, this wall decal can be easily applied to any smooth surface. This decal is available in a variety of colors to best match your decor.